Iris van Herpen (1984), born in Wamel and currently living and working in The Netherlands, is an award winning fashion designer. She studied Fashion Design at ArtEZ university of the Arts in Arnhem and later interned at Alexander McQueen and Claudia Jongstra. After graduating in 2006, she founded her own women’s fashion label in 2007. Only a few years later, in 2011, she became a member of the Parisian Chambre Syndicale de la Haute Couture. 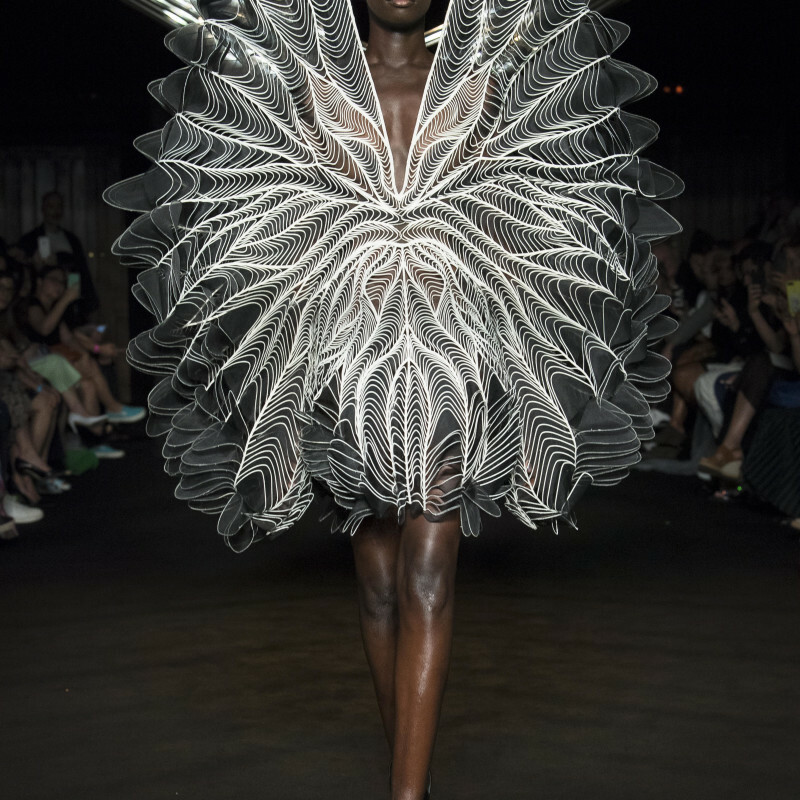 Van Herpen is an innovator, utilising new technology such as 3D-printing as a garment construction technique in her designs. She once said, "There’s beauty in contrast, new terrains are found at the intersection between precision and chaos, art and science, the human touch and the high-tech, the artificial and the organic". Her couture arise at the intersection of art, technology and fashion. In order to create new collections, she collaborates with various artists from different disciplines. She has worked with architects, musicians, photographers, filmmakers and choreographers. Her hard work is rewarded with numerous prizes. One of those prizes is the Johannes Vermeerprijs, the Dutch state prize for the arts, which she won in 2017.